Tony Falcone in his Studio in Prospect, CT, sculpting a portrait bust in clay of Otto Graham in preparation for its fabrication in bronze utilizing the lost wax process. The sculpture was commissioned by the U.S. Coast Guard Academy, Class of 1964, as its 50th Reunion gift to the Academy. 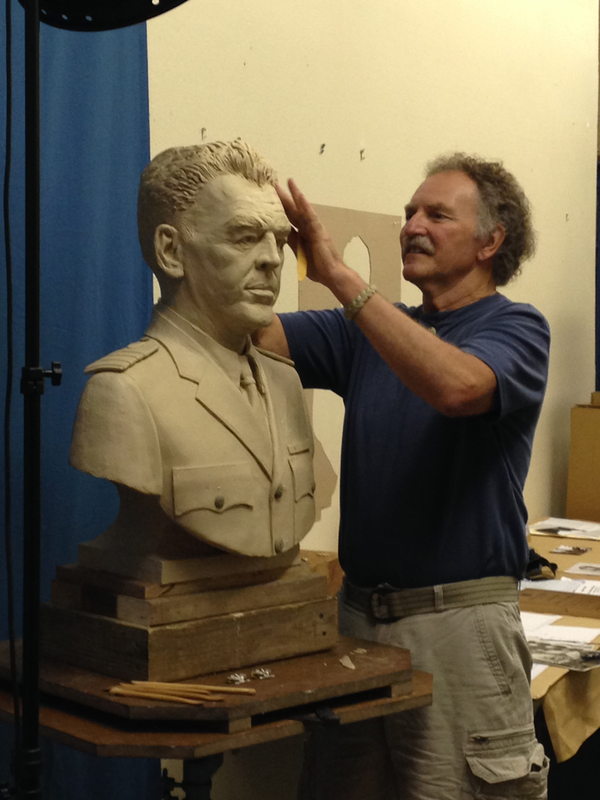 The making of a bronze bust: This video documents the design, artistry and fabrication that went into Tony's bust of United States Coast Guard Academy athlete, coach, and athletic director, Otto Graham. Unveiling and presentation of the bronze portrait bust of Otto Graham, NFL Hall of Fame Inductee, sculpted by Tony Falcone. The sculpture was presented to the U.S. Coast Guard Academy by the USCGA Class of '64 as its Class Gift on the occasion of its 50th Reunion during Homecoming, October 2014, in New London, CT. Pictured receiving the sculpture is RADM Sandra Stosz, Superintendent of the US Coast Guard Academy. 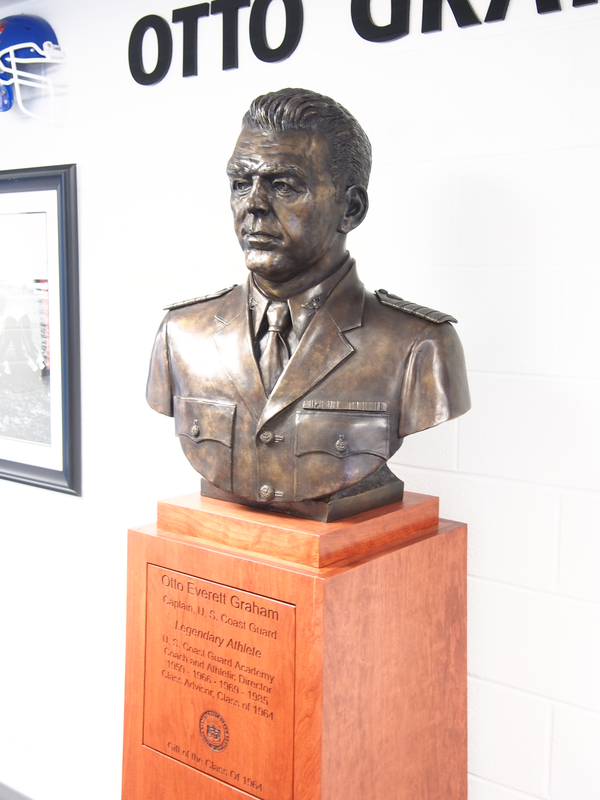 Bronze Portrait bust of Otto Graham by Tony Falcone, displayed on a custom-built Pennsylvania cherry pedestal in Roland Hall at the U.S. Coast Guard Academy in New London, CT. The sculpture will eventually be relocated to the Otto Graham Hall of Athletic Excellence within Billard Hall at the Academy where it will serve as the focal point in a sports facility dedicated to USCG varsity sports, its legends and its leaders. NFL Hall of Fame legend, Otto Graham, was recruited by the Academy to join its staff as athletic director and coach of its football team; subsequently the USCG team rose to a undefeated position under Graham's leadership.